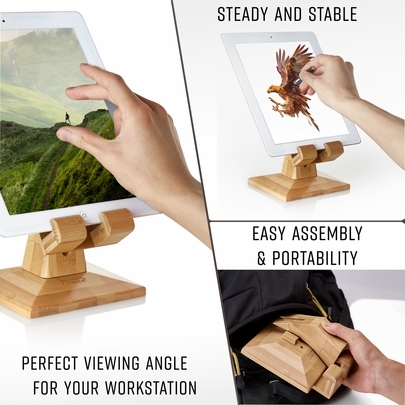 STABLE DOCKING STATION: Ergonomic holder designed with the perfect viewing angle, a robust base, strong neck and non-skid feet for added strength and immovability. 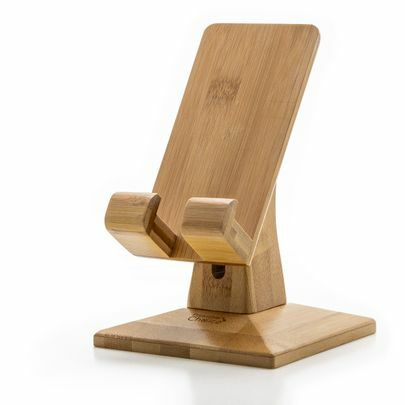 Trusted Quality and Craftsmanship from a trusted brand, the Prosumer’s Choice bamboo phone and tablet stand delivers elegance and functionality at work, office or home. 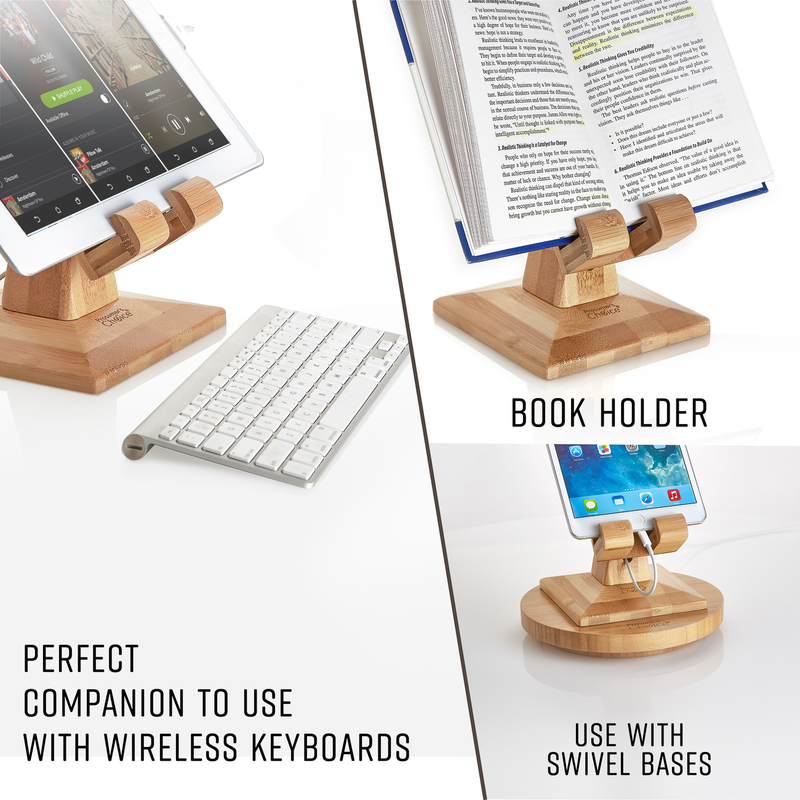 It’s time to simplify your desktop with this ergonomic bamboo iPad/tablet and smartphone docking station. 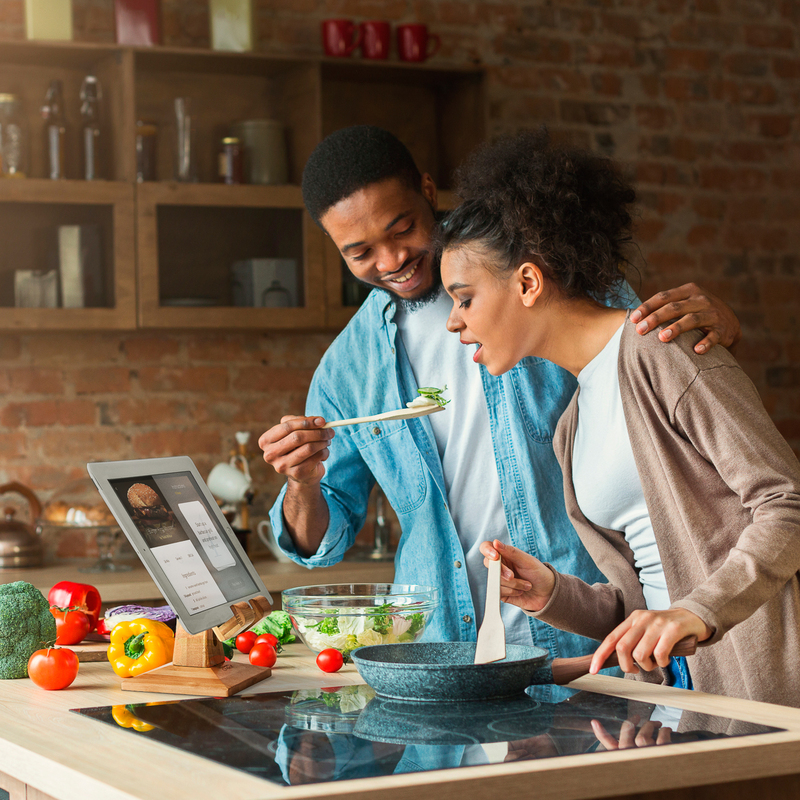 Made of durable bamboo with an up-scale grain finish, our executive iPad cradle securely holds iPads, iPad mini, iPhones and Samsung and Galaxy smartphones and tablets for easy viewing while you’re working, streaming, reading or cooking up a storm. 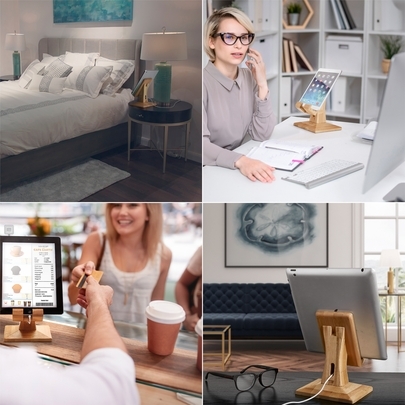 With added space on the front cradle it can fit most wireless charging pads on the market allowing you to simply drop and charge your favorite smartphone. 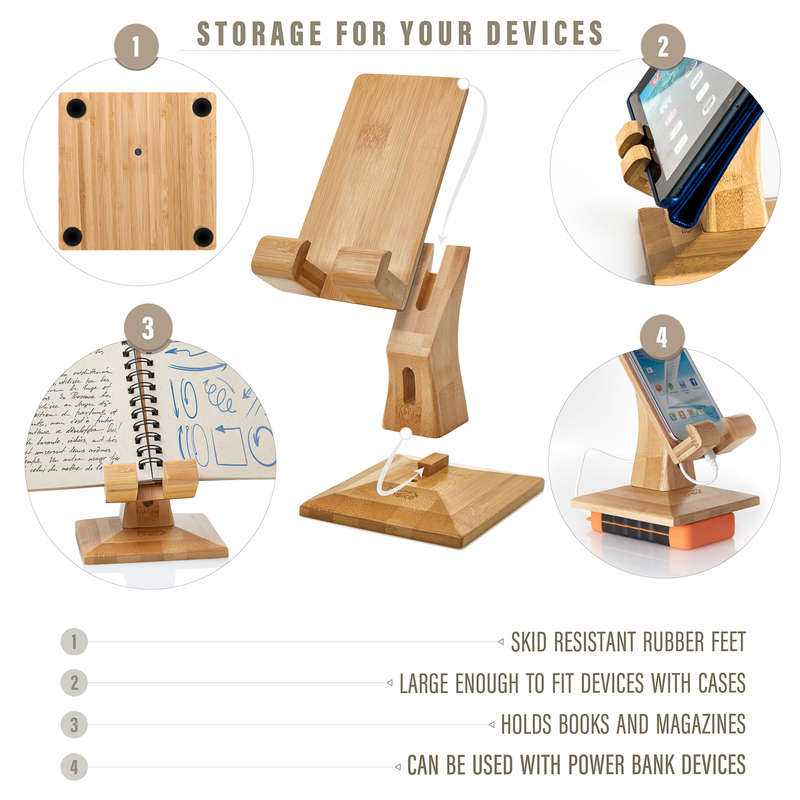 Keeping sturdy balance and stability in mind we engineered this tablet organizer and smartphone charging station with a large base and strong neck and included non-scratch/non-skid rubber feet for added strength and immovability. Rest assured, this charging dock stays put. 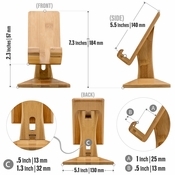 Due to its aesthetics and solidity, this can also be used as a POS kiosk display stand to hold Apple iPads including Pro, Air and Mini, Lenovo tab, Galaxy tab, Microsoft Surface and other popular tablets. And unlike metal stands, our bamboo base can be drilled and securely fastened down to your liking if needed. We have also designed your mount to be at an optimal viewing angle whether you’re at your desk, kitchen counter or viewing movies from your nightstand. 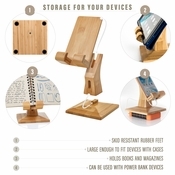 An executive-level tablet organizer that stays upright and stable, this tablet stand also includes a cable management system so you won’t trip over or be annoyed by unsightly and dangling charging cables. Quick to assemble, start using within minutes. 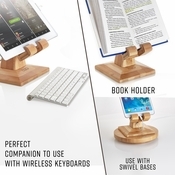 Take your workspace to the next level with the Prosumer’s Choice executive phone and tablet holder!